With many consumer reports, Trane products always rate right at the top. The products are updated often, so your Trane Comfort Specialist is the most reliable source for getting information on the Trane system for your needs. The follow review will cover the benefits, features, and warranties associated with the Trane XT95 gas furnace. Medium efficiency furnaces: AFUE rating that ranges from 78-84%. Homes that have an existing chimney can easily have these units connected . ComfortLink 2 Communicating Capability connected to the main system of the furnace means it can be controlled either manually or remotely. When considering a furnace for your home or commercial space, the size of your home or office, heat loss calculation as well as the kind of weather you have will all be taken into account. A Trane gas furnace specialist advises you on which unit to get. Some people worry about young children and pets around these furnaces, but there is a strong cabinet which separates the actual furnace from children and pets. An added benefit is that the cabinet works as a thermoregulatory device which regulates the heat which ultimately prevents a fire starting. It is the multi port short in burners which are the source of heat in the furnace. The Trane XT95 gas furnace has been designed for natural and L.P. Gas, and dual solenoid combination gas valve and regulator ensures your furnace is always safe. The low energy power vent blower ensures a positive discharge of gas fumes to the outside. The furnaces come with a lifetime heat exchanger warranty as well as a ten-year warranty on labor and parts. If your Trane XT95 gas furnace is installed with the Trane XLi Outdoor Condensing Unit, the internal function parts will be covered for 10 years. 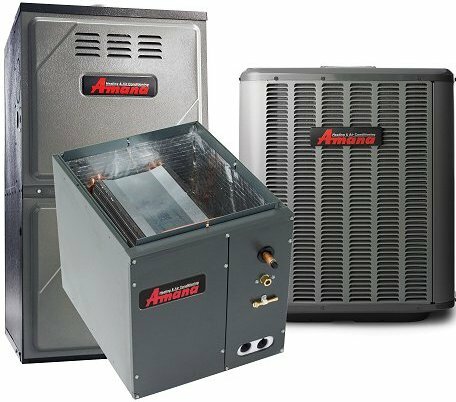 Optional extended warranties are also available and these cover labor, refrigerant as well as costs not covered by the Manufacturer’s Limited Warranty. Copyright © 2018 Gas Furnace Reviews.